Bishop White’s Letter to Martin Luther King, Jr.
Each year retired United Methodist Bishop Woodie W. White writes a letter to Rev. Dr. Martin Luther King, Jr. on the anniversary of his birthday about the progress of racial equality. This year I asked Bishop White if he would allow me to video a reading of the letter. It was a unique opportunity and honor to work with Bishop White on this project. Below is Bishop White’s 2013 Letter in video format, entitled “50 Years On: The Dream is Becoming the New Reality.” The text of the Letter can be found at UM Reporter here. Bishop White is the Bishop in Residence at Candler School of Theology at Emory University in Atlanta, Ga and more about Bishop White can be found here. This video may be downloaded for use in school/civic/church services, may be embedded or posted freely, and is free for use under Creative Commons for non-commercial, non-modified use. Special thanks to Bishop White for his permission and time, Rev. 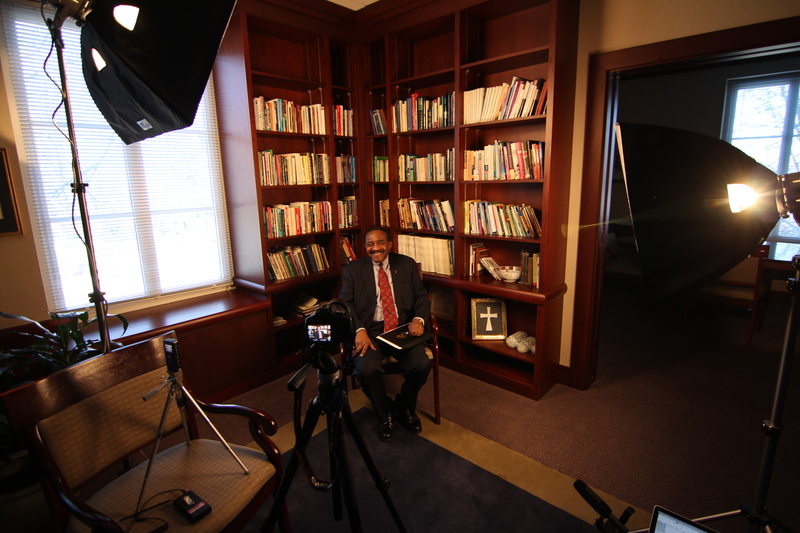 Dr. Bill Britt and staff of Peachtree Road UMC in Atlanta, Ga, for filming location, Stan Taylor at Candler School of Theology for his wealth of technical expertise and materials, and friends Josh Amerson and Rev. Brian Tillman for their advising, direction, and encouragement.